Building a large underground fanbase without sacrificing his creative vision, Houston’s Maxo Kream earned his reputation as one of the best storytellers in rap. Grappling with a friend’s legal crisis over lush soul samples, Maxo demonstrates his storytelling talent on “Meet Again.” Produced by Teej and Mike Dean, “Meet Again” finds Maxo chronicling the desperate and criminal behavior by his friends and family, reminiscing about better times, and speaking directly to a friend in lockup: “On my way here, I was blowin’ and they told the lieutenant/Word got back to the warden and they cancelled my visit/I dropped 40 on a lawyer, tryna reduce your sentence/He better than that court-appointed, he gon’ fight to appeal it.” Directed by Shomi Patwary, who directed Maxo’s visually inventive “Roaches,” “Meet Again” brilliantly dramatizes the conflict in Maxo’s story, painting a bleak, nuanced picture of the chaotic darkness of prison life. With over 2.2 million Spotify plays since its January release, “Meet Again” was the first new single since the release of 2018’s Punken, Maxo’s critically acclaimed third album. Headlining a 2018 that found Maxo landing his single “Bussdown” on the NBA Live 2019 soundtrack and performing at a prime slot at Rolling Loud Miami, Punken takes a deep and revealing look into the rapper’s past, with Maxo mastering his storytelling ability and hypnotic flows atop forward-thinking production. Titled after one of Maxo Kream’s childhood nicknames, Punken builds upon 2015’s Maxo 187 and 2016’s The Persona Tape with emotionally and sonically diverse tracks sitting side-by-side with insane drug-dealing bangers. Featuring appearances from Trippie Redd, 03 Greedo, and D. Flowers, and with production from The Wlderness, Beatboy, Sonny Digital, Ethereal, Honorable C Note, $uicideboy$, Tommy Kruise, Wolfe De Mchls, Teddy Walton, and MexikoDro, the album earned massive critical acclaim, earning “Best Of 2018” honors from Noisey, The AV Club, FACT Mag, and DJ Booth, among others. 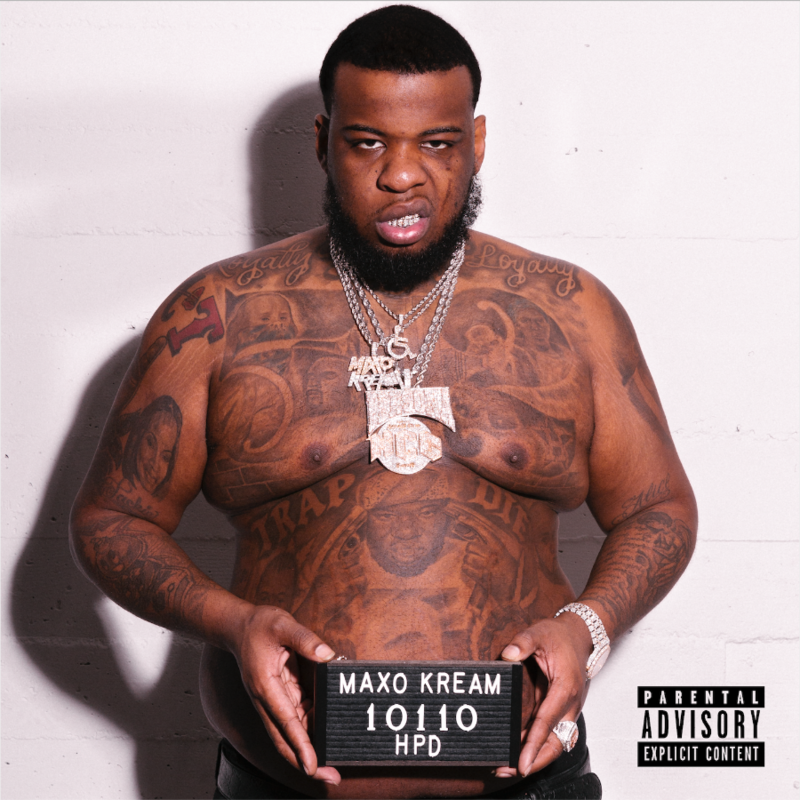 In their glowing review of the album, Pitchfork praised the album as “full of unsparing storytelling, pusher anthems, and a dynamic array of trap production over which Maxo delivers some of his most effective writing.” Stay tuned for more great music from Maxo Kream in 2019, sure to be the 27-year-old rapper’s biggest year yet. Upon meeting him, gangsta rapper isn’t the impression that most would get from buzzing Houston emcee, Maxo Kream, age 28. He has a surprisingly goofy and playful demeanor, often cracking self-aware jokes and displaying a smile which showcases either his gold grin or his trademark gap in the upper row of this teeth. But, make no mistake, Maxo’s backstory is a tale consisting of crime and death that would catch the attention of the most jaded followers of gangsta/trap rap. Inspired by his college trip to SXSW and the fact that other street cliques throughout Houston such asFDAB (founded by late rapper T.O.Y, a childhood friend and Crip associate of Maxo) and MashMode(which has now resulted in the buzzing careers of Houston rap duo, The Sauce Twinz) were transitioning into music as a form of expression, Maxo and his younger cousin Lyndon (rap moniker Lyndo C), jumped into music. Maxo’s latest album, Punken, takes a deep and revealing look into the rapper’s past, with Maxo mastering his storytelling ability and hypnotic flows atop forward-thinking production. Featuring appearances from Trippie Redd, 03 Greedo, and D. Flowers, and with production from The Wlderness, Beatboy, Sonny Digital, Ethereal, Honorable C Note, $uicideboy$, Tommy Kruise, Wolfe De Mchls, Teddy Walton, and MexikoDro, Punken builds upon 2015’s Maxo 187 and 2016’s The Persona Tape with emotionally and sonically diverse tracks sitting side-by-side with insane drug-dealing bangers.